You’ve probably seen the signs around town or on Facebook. But if you haven’t, there’s still time to contribute! 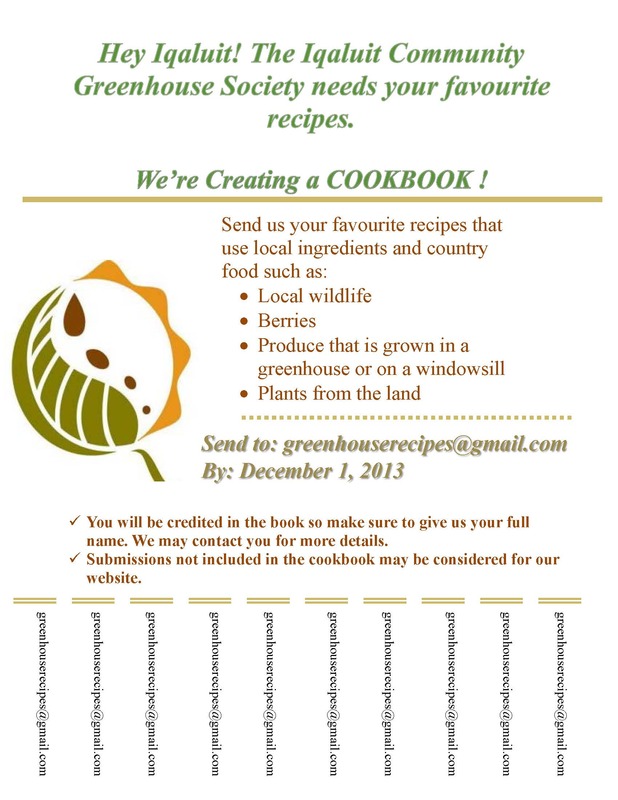 If you have recipes that use country food or locally grown food from greenhouses or your window garden box, email them to greenhouserecipes@gmail.com! We look forward to your contributions. Psst! The deadline is Sunday, December 1!